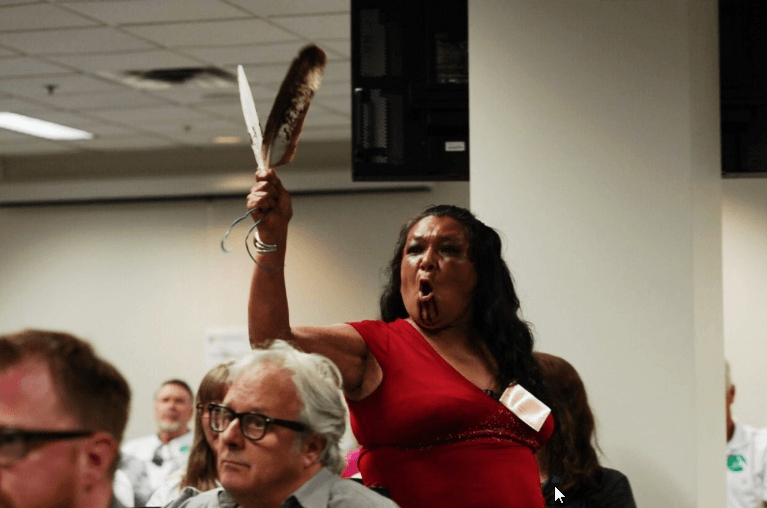 The Minnesota Public Utilities Commission on Thursday approved a new Enbridge Energy Line 3 oil pipeline after an emotional day of deliberations over replacing corroding infrastructure versus limiting future risks to water resources and the climate. The final decision, which was unanimous, came with several conditions, including a decommissioning trust fund to ensure the new pipeline will be retired responsibly decades from now. Enbridge will also be required to follow through on a promise to landowners to remove portions of the old Line 3 upon request. PUC Chair Nancy Lange broke down during deliberations Thursday, grabbing a handful of tissues and expressing how conflicted she was about allowing fossil fuels to cross the state for decades to come. "How would I feel if I woke up in five years and that line had leaked?" 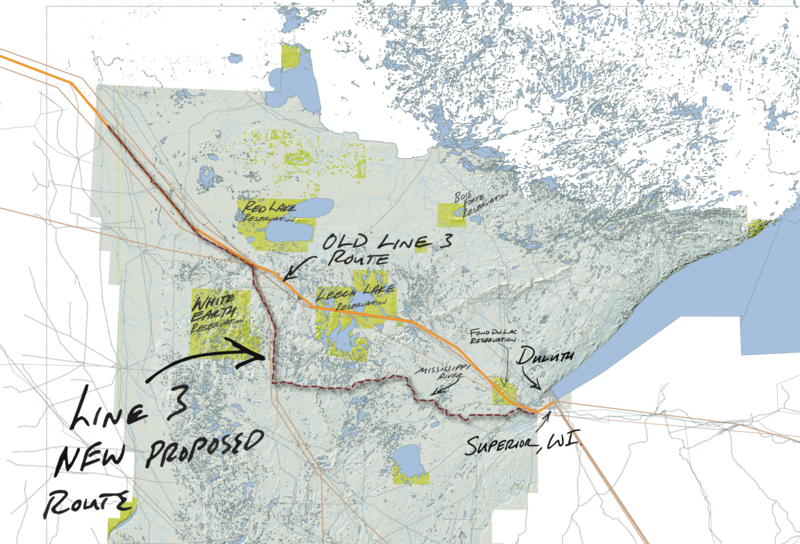 Lange said, referring to the possibility that the old Line 3 would continue operating, despite safety risks, if commissioners denied the proposal to replace it. The conditions placed on the certificate of need — and a later decision about the new Line 3 route — will influence whether and how soon the company can move forward. 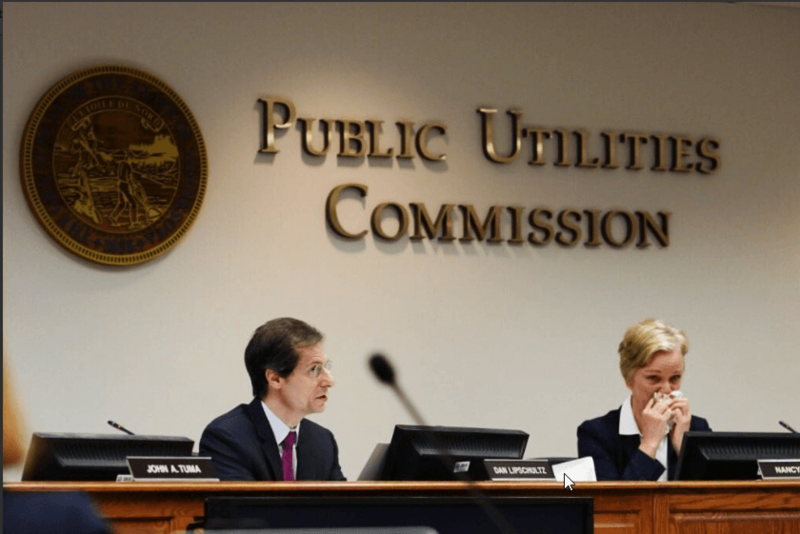 Lange said the commission has "limited authority over the transportation sector in Minnesota," in contrast to the commission's oversight of electric utilities and forcing them to embrace clean energy. Commissioner Katie Sieben, a former DFL state senator and the commission's newest member, said she believes approving the pipeline is the state's best interest, stressing that the alternative would be allowing a 1960s-era pipeline to remain operating and put Minnesota's water resources and Indian reservations at risk. The old Line 3 "has similar integrity issues as other pipelines that have failed," Sieben said. The pipeline is in "horrific condition," added Commissioner Matt Schuerger, an engineer who lists no political affiliation. "It is clear, and it is unrefuted." Commissioner Dan Lipschultz agreed with the others that, like it or not, they were forced to say yes to the new pipeline. "It feels like it's a gun to our head," Lipschultz said of the threat the old Line 3 posed. But Lipschultz, a Democrat, also encouraged those in the room to move beyond the "doom and gloom" and remember how Minnesota's electricity sector has been transitioning away from fossil fuels. "If you think about the changes in the electric utility industry, I think you have to look ahead at what is possible in the transportation sector," Lipschultz said, adding that the market, not just policy, now favors renewable energy in a lot of circumstances. That wasn't enough to comfort pipeline opponents, including a group of activists in their teens and 20s who have had an official seat at the table during the Line 3 proceedings because climate change will disproportionately affect them. "Commissioners, this is our future, and we will not let it stand," Brent Murcia, a member of the Youth Climate Intervenors, said just before the PUC recessed for lunch. 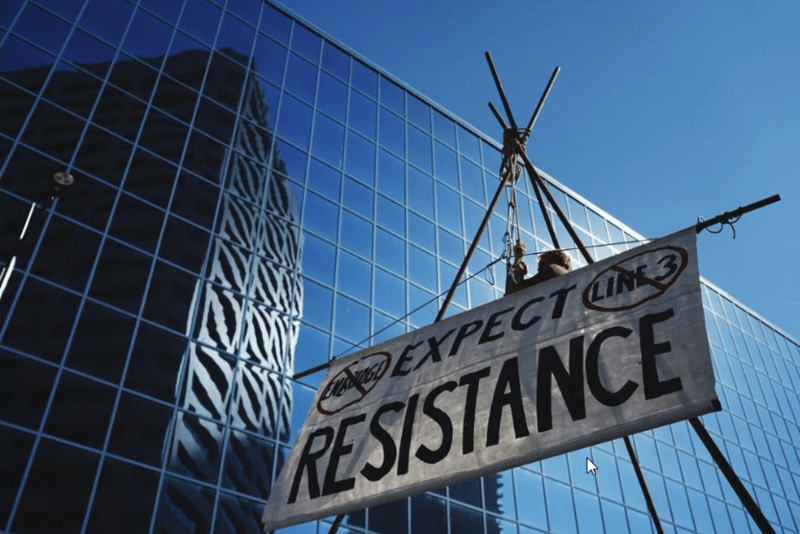 The fifth day of hearings over the proposed Line 3 oil pipeline began early Thursday with passionate supporters and opponents lining up before 5 a.m. for a chance to witness an historic decision over the future of oil transportation in the state. 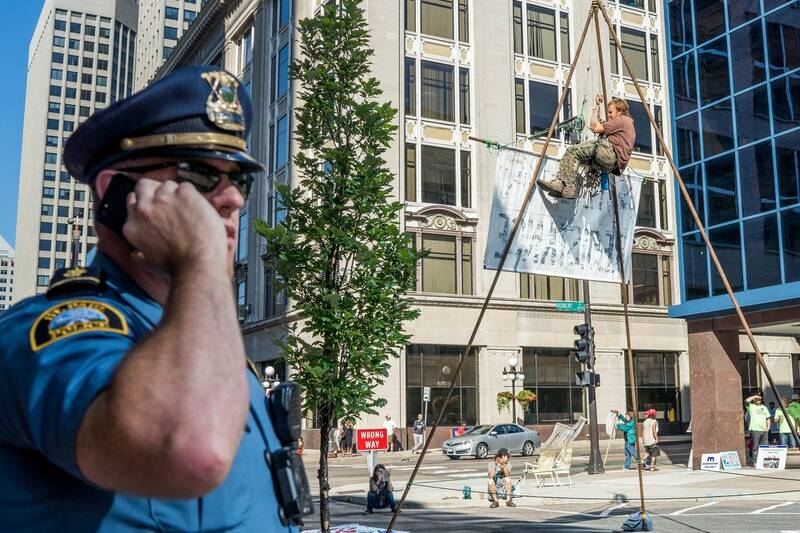 One protester was cited by police for blocking traffic by suspending himself in the air above a structure roughly resembling a teepee with the message, "Expect Resistance." Pipeline supporters were also out in force, wearing bright colored T-shirts and their "Minnesotans for Line 3" bus parked nearby. Bob Schoneberger, who works for United Piping and also represents the group Minnesotans for Line 3, applauded the decision. "It was nice to hear the commissioners agree with what we felt pretty strongly about all along," he said, noting that a final route for the pipeline must still be approved. "You can't close the valve and make this go away," he said of the country's oil needs. "To the extent we can make reliable supply, it helps keep energy prices low, it keeps it affordable for those who struggle, and closing the valve is going to hurt people." Outside the commission hearing room, White Earth tribal member Dawn Goodwind said the proposed pipeline route will travel through lands covered by an 1855 treaty. "This is our time to assert those rights, and make them honor our treaties," she said. "Our treaties are guaranteed under the Constitution. It's the supreme law of the land. And they don't get it, they don't want to get it. and we're all prepared to stand up for our rights." After the vote, Gov. Mark Dayton urged people to express themselves peacefully and said the PUC decision "only allows Enbridge to begin to apply for a least 29 required federal, state and local permits ... construction cannot and will not begin unless Enbridge receives all required permit approvals."